Unshackled describes the pathway for breaking free of the chains that bind, beginning with a transformational relationship with Jesus and then embracing his instructions for living. The book includes true stories of people who have struggled and relates how they broke free, plus specific steps readers can take to experience the same freedom. Peggy was born on a cotton farm in Miss. After nursing school and marriage she moved to Lexington, Ky. when her husband joined the Lexington clinic as a physician. Peggy was a full time mom until her last child was in junior high at which time she returned to nursing. She spent nine years in part time bed side nursing at University of Kentucky Markey cancer center. She retired to have time to develop her discipleship writing. She has six grandchildren who are a great joy to her. Only two live in the same town so her grandmother’s journal has been very helpful in bridging the miles. The Power of The Lamb’s Blood, her first book has been translated into two languages. Her second book is Unshackled. Peggy is the author of numerous published articles as well as the books The Power of the Lamb’s Blood and Grandmother’s Journal. Bless your grandchild with a written record of prayers you have prayed for them over the years as well as a legacy of your relationship including your dreams for his/her life. This book is especially designed to help “long distance” grandparents feel connected as they record interactions with the grandchild. It offers a written record for noting important milestones in their life. The grandchild will have a way to trace the Lord’s answers to specific scriptural prayers. 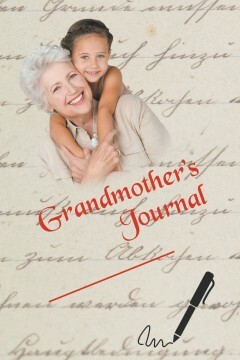 The journal provides a written account of your love, affirmation, and dreams for your grandchild. Consider selecting a favorite photo to glue onto the appropriate page where highlights of a visit are recorded. The prayers spoken over the grandchild will never go out of existence. They will pile up in the golden bowl in heaven that is before the throne of God. They will still be before the heavenly Father years later.